If there is one thing BlackBerry (NASDAQ:BBRY) phones are known for, it is security. And the company’s new DTEK50 phone lives up to that reputation while adding a great camera in a super thin body. According to the company, the DTEK50 is the “world’s most secure Android phone,” which may make it one of the best moves BlackBerry has made in sometime as it continues to find its place in the smartphone market. The Android operating system currently has more than 70 percent of the market, and it is growing globally as iOS is shrinking. 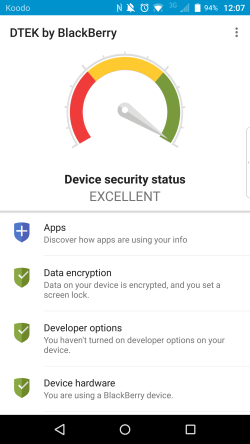 One bone of contention with Android however has been security. So when BlackBerry started protecting Android on its Priv smartphone continuing that protection with the DTEK50, reviewers and potential customers began to sit up and take notice. So what is so super about the security, camera and size of the BlackBerry DTEK50? BlackBerry DTEK for Android controls what is shared on your device and with whom. You might think you have control of your device at all times, but there are tens of thousands of apps out there designed to take control of many of the features on your phone. And if you’re not aware, these apps can turn your microphone on, send text messages, access your contacts and location and steal your personal information. Alert, notifying you when a specific app is active doing something it is not supposed to be doing. The security also extends to the screen, which has an oleophobic layer to help prevent the oil residue from your fingers from sticking to the glass. Believe it or not, the smudges left by those oils on the glass give criminals a way to access your smartphone. But if the oil doesn’t adhere to the glass, it doesn’t leave a smudge. 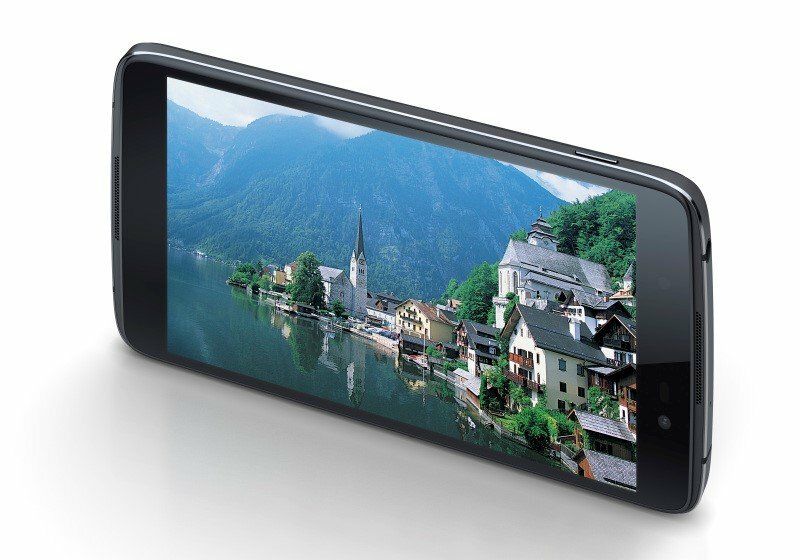 The DTEK50 features an 8MP front-facing camera with flash and a 13MP auto-focus rear camera. The front camera is rated at f/2.2, and it can capture images at a pixel size with an 84-degree field of view. The camera also has automatic image and video stabilization, selfie flash and a wide-angle/panoramic selfie mode. The rear camera is BlackBerry’s fastest-performing model. It uses a 6-element auto-focus f/2.0 lens with 4x digital zoom along with live filters to deliver professional grade photographs. It has dual toned LED flash, automatic face detection and a continuous focus and touch-to-focus feature which you can toggle to get the best image. 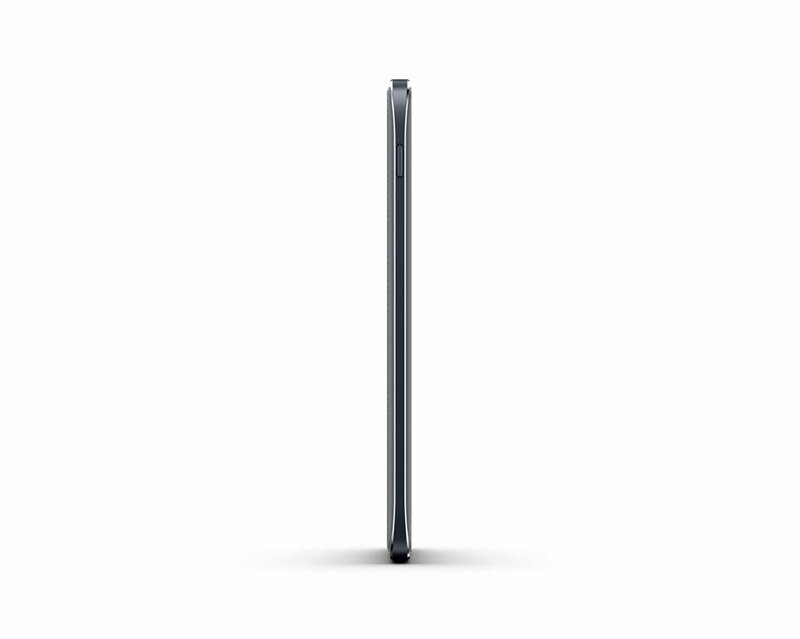 At 147 x 72.5 x 7.4 mm (5.79 x 2.85 x 0.29 inches) and weighing in at 135 g (4.76 oz), the DTEK50 is not the slimmest or lightest phone ever, but when you compare it to previous BlackBerry models, it is definitely much slimmer and lighter then the company’s previous devices. If the DTEK50 looks familiar to you, that is because it is a modified Alcatel Idol 4, a slightly different version of another recently released phone by a different company. BlackBerry apparently decided to modify an existing device rather than going back to the drawing board and designing one of its own. This allowed BlackBerry to quickly deliver a reliable phone that is much cheaper than the Priv’s $699 price tag. Cost was one of the biggest complaints about the Priv when it was introduced last year. 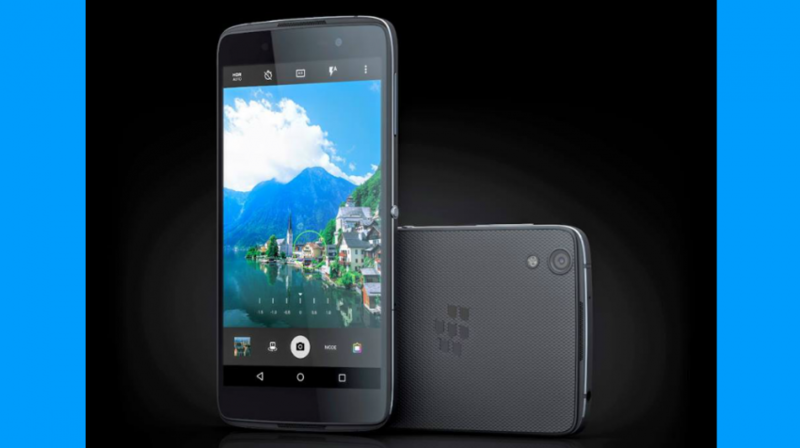 At $299, the DTEK50 is more affordable, while still maintaining the BlackBerry security standard along with new features that were never previously a priority in the company’s phones.